Infrared can be effectively used for many applications; however it does have limitations and can be miss-applied. To make things more confusing, there are many choices of infrared heater types on the market, each with their own unique characteristics. There is not a single source that is best for every application. You can save a lot of time, money, and problems by calling Protherm, LLC to discuss your application and define how infrared can help you. If Protherm, LLC infrared heaters are not the right fit for your application, we will gladly tell you up front and recommend the right direction. Our position is not only to inform you about our technology, but to teach you the differences and how they relate to your process. To start you down the road to success, here are some general items to consider which we will discuss with you in more detail. Is this a good application for infrared? The material, finish, size, geometry, and process are all factors in whether infrared will be effective, and what wavelength is practical. What are the product limitations? The min. and max. size and temperature of the product as well as material handling devices are items to define. How is the product handled and what is the orientation? What is the desired speed and through-put? This is often referred to in pounds per hour. Do not forget part hangers, coatings, or moisture content. How much space is available for the IR heating equipment? Response time- How fast do the heaters need to heat up at start up? How fast to cool down upon a line stop? Will there be many starts and stops? Controllability- Does the process require precise control or different settings? Will it be integrated with other line controls? What utilities are available? Gas or Electric, Voltage/Phase, max services size. Is an exhaust required for fumes or excess ambient heat? Installation cost- Does it require multiple utilities and piping? Maintenance cost- What is the service life and expected maintenance items? Efficiency - How efficient is the heat source for long term operational savings? 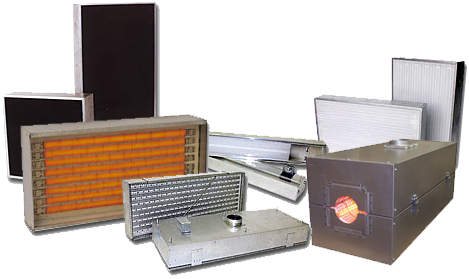 At the beginning of each heater “Series” page under the Infrared Heaters page, you will find information on response time, efficiency, and abilities for each specific Protherm, LLC quality built IR heater. Contact us via online form or call 1-800-793-2077 (in the US) or 1-320-834-3370 to speak with a knowledgeable sales engineer to assist with selecting the best solution for your process heating challenge.